Prince's Grant was previously a portion of the farm Hyde Park . The first owner was George Wilson Prince who acquired the property by Deed of Grant on 20 October 1856 from her Majesty Queen Victoria, Queen by the grace of God of the United Kingdom of Great Britain and Ireland and Queen Defender of the Faith. The land acquired by Mr Prince was 3 354 acres according to the Deed of Grant and the price a handsome two pounds, five shillings and four pence sterling. It was soon after this that the farm was acquired by Babu Bodasing who was an indentured cane cutter from India . In his lifetime, Babu Bodasing managed to put together a portfolio of properties in Natal and Hyde Park remained in Bodasing hands until the land on which Prince's Grant is situated was sold to Prince's Grant Property Share Block Limited by Raj Bodasing. The latter is still a shareholder and director of Prince's Grant Holdings (Pty) Limited. Certain of the features of the estate originate from the Babu Bodasing era. The 16 th hole is known as “Paddyfield”. This was planted to rice by Babu Bodasing many years ago. The small house on the beach behind the fifteenth green was the first building on the property and is to be retained in its present form. The house, through which the fence runs, was the Bodasing family's original beach cottage. It has been redesigned but the foundations remain those originally built by the Bodasings seventy or eighty years ago. When the development was designed, it differed from most golf course estates in that the golf course took precedence and was given first bite of the land. This is particularly evident in the case of the magnificent fifteenth hole which occupies prime real estate which in most developments would probably have been allocated to housing. Peter Matkovich has skillfully worked the land and today we have a course which is sympathetic to the natural environment. 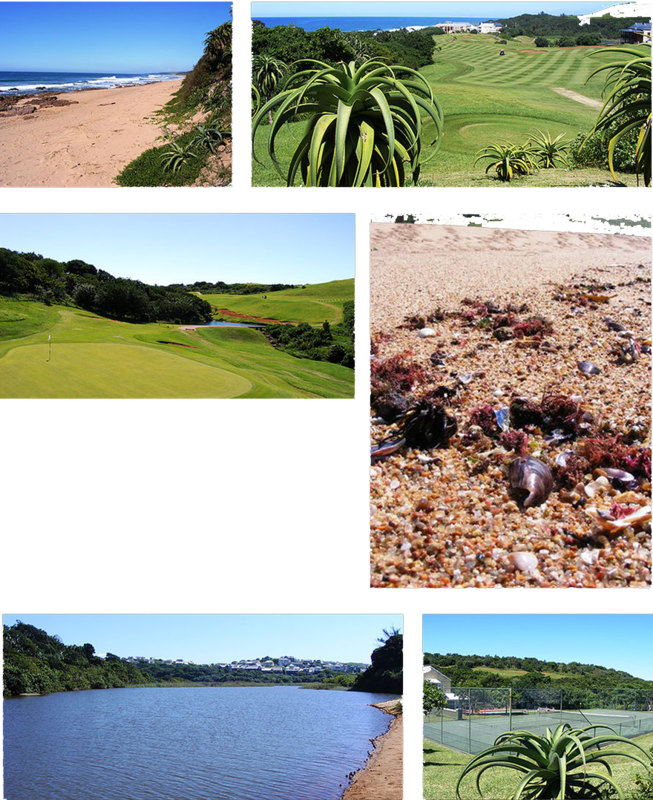 Construction of the golf course commenced in 1992 and it was opened for play in June 1994. The clubhouse was officially opened by Hugh Baiocchi, our first director of golf, in November 1994. Hugh will possibly remember, with a certain amount of amusement, his first days at Prince's Grant when the Pro Shop consisted of a wooden wendy house perched on top of the tenth tee. This was in stark contract to the luxury establishments which Hugh was used to at courses such as Gleneagles and Turnberry.